Sisay Shimeles studied art at the Addis Ababa University, School of Fine Arts and Design in Ethiopia. 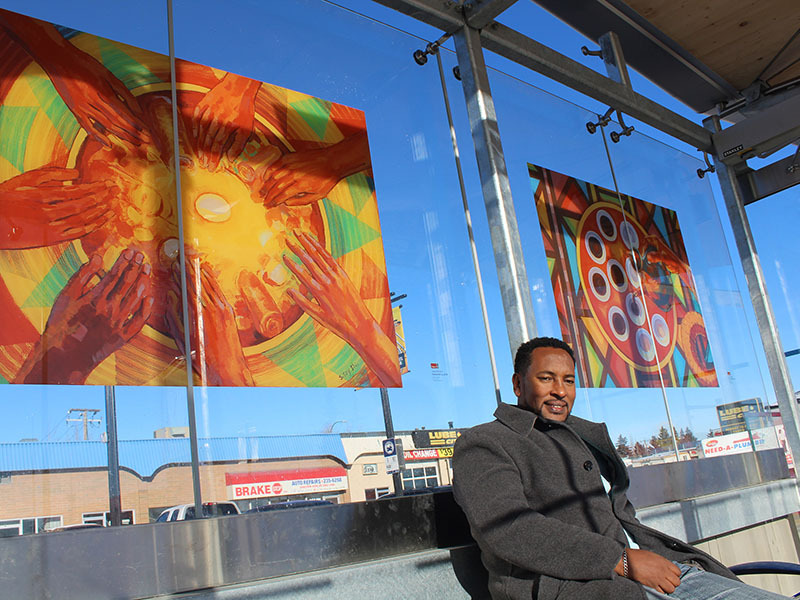 His work has appeared in several group exhibitions and community-oriented projects including art workshops for children and people with disabilities in Calgary and around the world. Like him on Facebook at sisay.shimeles.art. I am a visual artist and graphic designer. My art style has a mixture of African traditional art and a western academic influence. 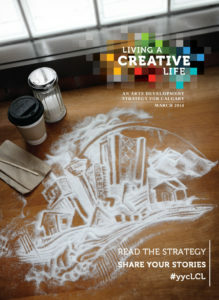 Calgary has a lot to offer to artists and is getting to be a desirable art hub. Heritage Park is one of my favourite places in Calgary where I get inspiration due to its unique European and North American cultural assets/attributes. If I would be given the opportunity, I always dream of creating a masterpiece somewhere in the city by engaging immigrant children and youth who can gain confidence and a sense of ownership in making their home city a great place to live in. To be an artist is a very special gift from God, so be it and use it to make an impactful change. 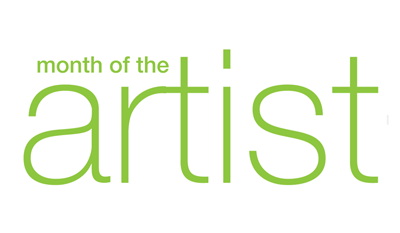 Beside my new series of acrylic paintings for a possible solo exhibition in the near future, I am working on three public art pieces (in collaboration with another artist) for the Spruce Cliff community here in Calgary.